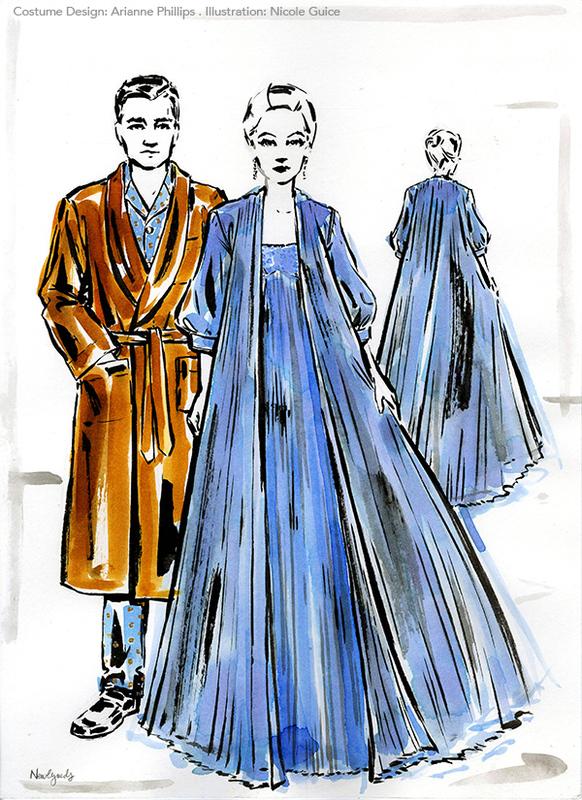 I worked as Arianne Phillip's costume illustrator for Nico Muhly’s production of Marnie. For this production, I was asked to work in a ‘Bernard Blossac-esque' style. The illustrations are currently featured throughout the production's programme. Below are some samples from that project. 'The opera is an adaptation of the 1961 thriller by Winston Graham that takes place in the Fifties. The story focuses on a troubled young woman named Marnie, who spends her life embezzling from her employers and assuming new identities. The opera company is certainly not the first to dramatize Marnie’s story. The Alfred Hitchcock film by the same name stars Tippi Hedren in the title role alongside Sean Connery. The opera, with costumes sponsored by Mr Porter, is a partnership between the Metropolitan Opera in New York and the English National Opera. It opened November 2017 in London at the English National Opera and relaunches in October 2018 at the Met in New York.